We've decided to do something radical today that is ultimately going to make things EXTREMELY PROFITABLE for you. We have NEVER done before and you need to pay close attention. 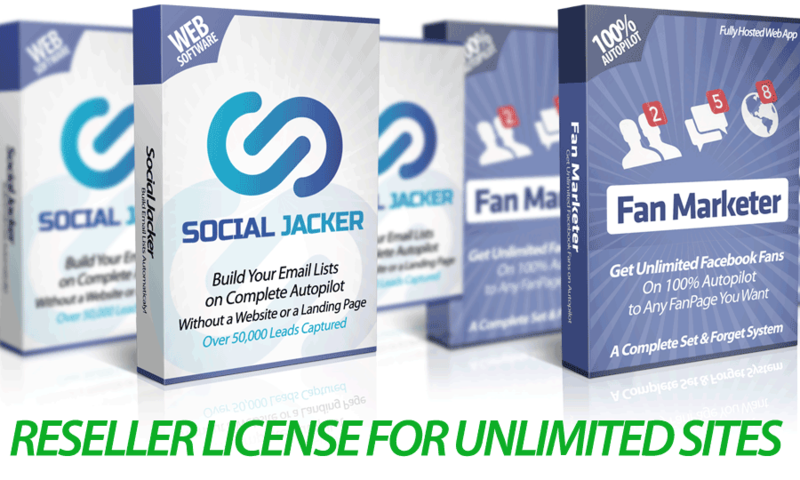 On this page, you can get a RESELLER license to Social Jacker. Which means you will keep 100% of the price of this software or plugin when you refer them to our website PLUS you make an extra 50% profit if your customers by any upgrades in our sales funnels. 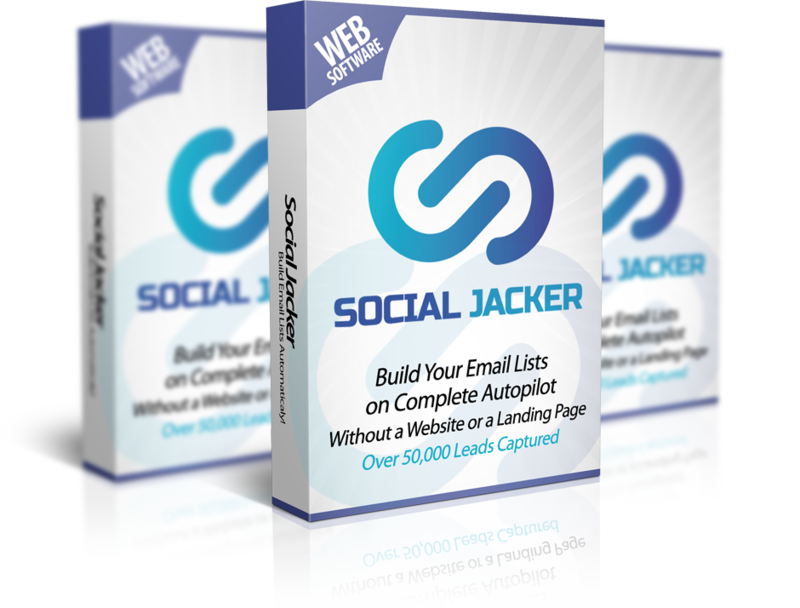 This is amazing for you if you do not have a product you sell online and with over 8000 customers loving this - it is something that EVERY ONLINE MARKETER WANTS for their business. Just because we want to make sure you GET IN on this amazing deal, we'll do ONE MORE THING for you. There are 1000s and 1000s of people who want unlimited fans on Facebook and this is your chance to PROFIT from all those businesses/people. Yes, NOW YOU GET not one but TWO products to sell online. Both are high in demand products that SELL themselves without any effort because of the amazing results and proof that we have. Now you can make double your returns back by selling our products to anyone you want. I Know This Is An INSANE Deal For You... that will make you a LOT of money. Important : This is available for our CUSTOMERS ONLY- no one outside our family can become a reseller or even get in here. And we're allowing a VERY LIMITED number of people to get in on this because we want to keep this super exclusive. All you have to do is, click the button below and grab this deal before we change our mind. Hurry, the price is super low right now and will go up very soon so get it now and get your DOUBLE Resellers license immediately.